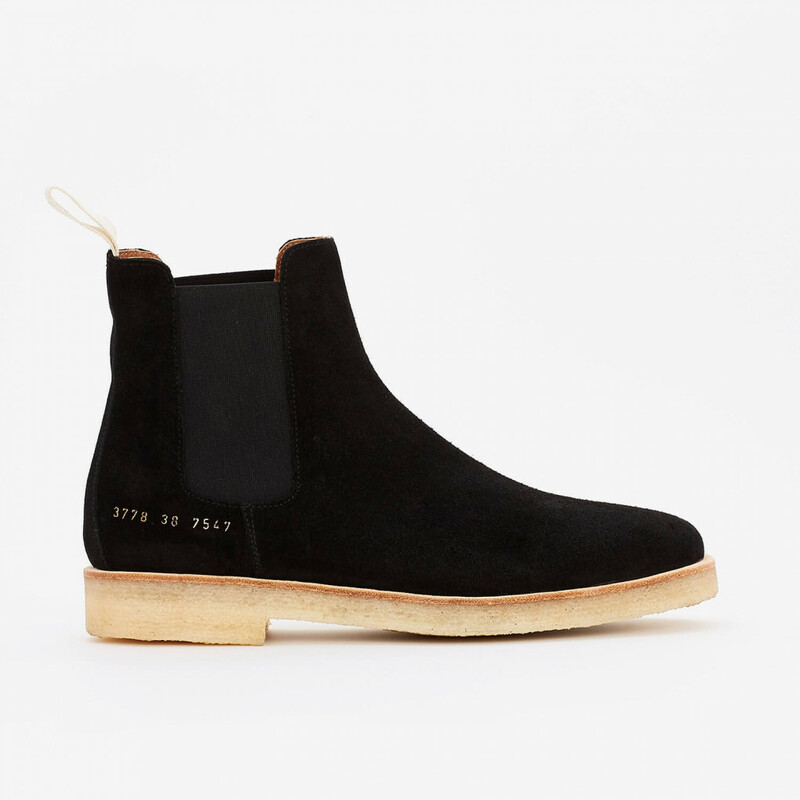 Every since Victorian Era, when the first pair was made to HM Queen Victoria, Chelsea boots have been worn by both men and women throughout the history. Key feature of this historical shoe model is the elasticized gussets on the each side of the shoe. This is why the invention of vulcanized rubber in 1839 had a crucial role in the emergence of this style that could be easily slipped on and off. 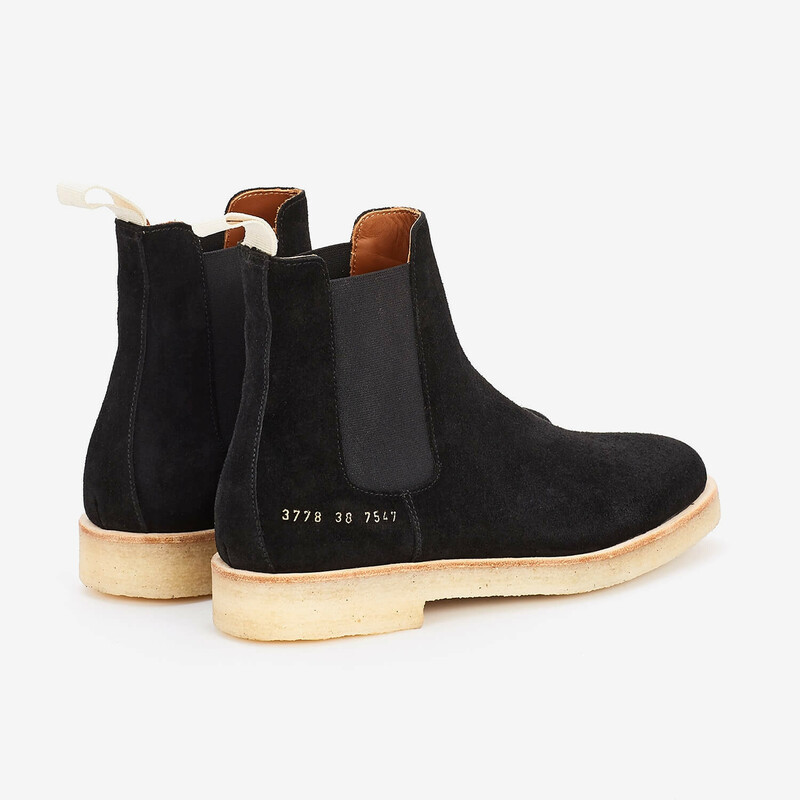 This present day model from Common Projects features those same elastic panels on the both side of the shoe and pull tab on the back of the shaft that ha. Read more.. This present day model from Common Projects features those same elastic panels on the both side of the shoe and pull tab on the back of the shaft that has a crucial role in this ankle high slip on shoe. The upper is made from black italian suede and the sole from comfortable rubber crepe for smooth step and grip on demanding terrain. Leather welt along the edge of the sole. Stitched down construction. 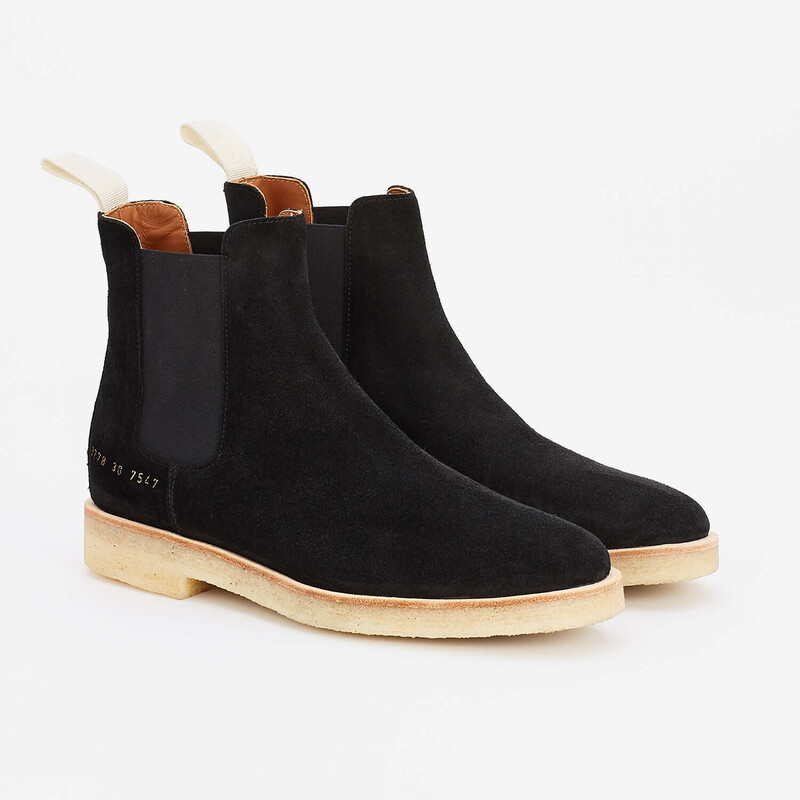 1 x Chelsea Boot Black was added to your shopping bag. 1 x Chelsea Boot Black was added to your wishlist.